Join us for the Great Ethiopian Run 2013! 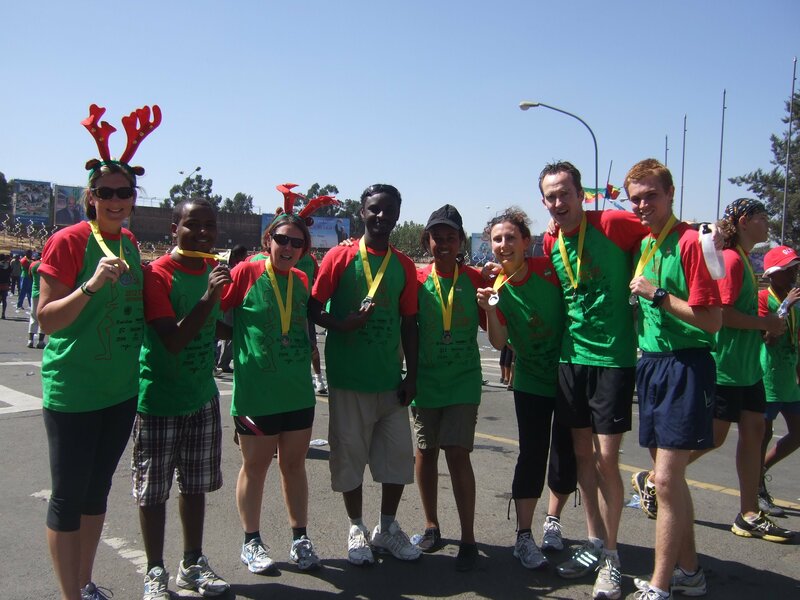 Home » Blog » Join us for the Great Ethiopian Run 2013! On Sunday 24th November this year, tens of thousands of runners will take to the roads of Addis Ababa again for the greatest African road race. Last year saw over 36,000 people take part, including both elite runners and fun runners from around the world, and this year is expected to be even bigger…and noisier! Why not come and join us on our third year there? Following the success of our nine brilliant runners last year we are setting our targets a little higher this year. More people means, after all, more fun! We hope to raise vital funds for our projects supporting education in Ethiopian schools, as well as offer our runners a once-in-a-lifetime trip to experience Ethiopian culture, indulge in its cuisine and see the work of our projects first-hand. The trip lasts a week, includes the race itself and is all at an affordable price! Previous PostSchools Weekly Update Archive!